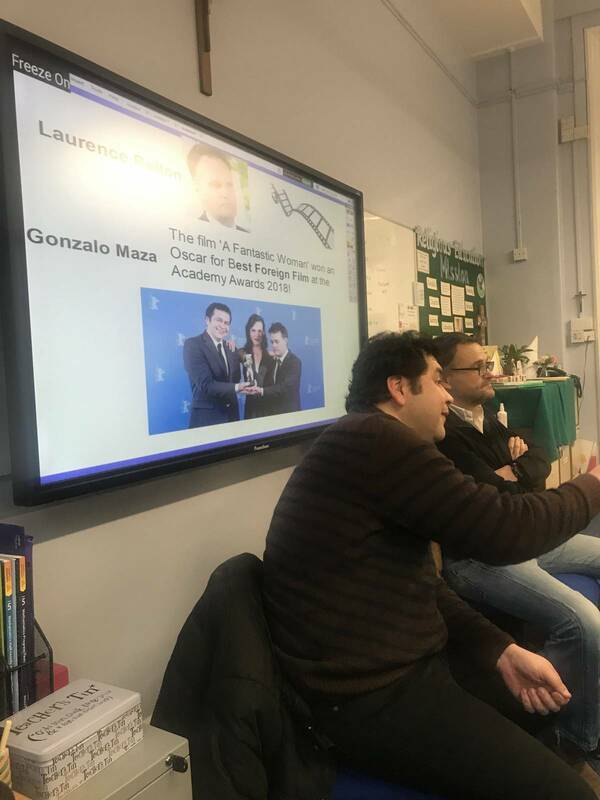 It’s a shame we didn’t have a red carpet in Year 5 on Tuesday because we were very honoured to have a special visit from Gonzalo Maza and Laurence Relton whose job it is to write scripts and to produce/direct films! 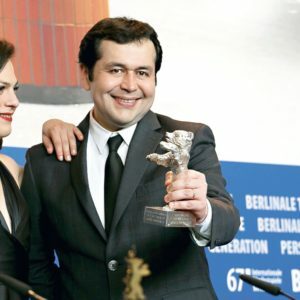 Mr Relton is a professional screenwriter who has written award- winning short films and Mr Maza even won an Oscar for ‘Best Foreign Film’ at the Academy Awards 2018! These are great achievements and we were so lucky to have them in our classroom during our Literacy lesson. They gave us their top tips for planning and writing our own film scripts. 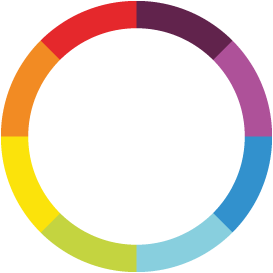 They said that when we think of a story we must always ask ourselves ‘What does my main character want and what is going to stop them from getting it easily?’ This is what makes a story interesting and entertaining for the reader/viewer. Then they had the chance to work with us on our scripts and give us advice in the classroom. We are so blessed to have such talented parents at our school and now that we are super inspired, we cannot wait to start filming our films! 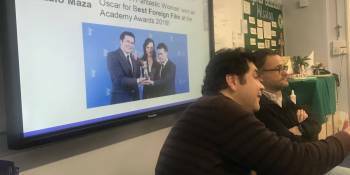 Thank you Mr Maza and Mr Relton for giving up your time to teach us how to write an effective film script.